The Few & Far Between single vineyard Cabernet comes from vintner Jayson Woodbridge's Calistoga property, which rests behind Eisele Vineyard and Kelly Fleming Winery. 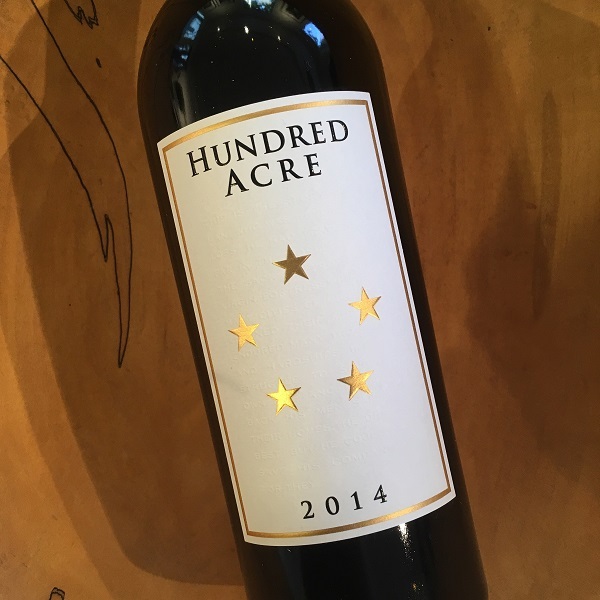 For me, this is my favorite Cabernet from Hundred Acre, with Ark being a close second. Each vintage Few & Far Between offers a bit more concentration and weight than the other Hundred Acre Cabernets which plays off the sweet cassis and rich fruit notes. It is a decadent wine and immediately shows its beauty upon opening. "The 2014 Few & Far Between is superb and not far off of the quality of the 2013. Slightly softer and perhaps more dramatic and flamboyant at present because it is a barrel sample, it has staggering richness, great blue and black fruits intermixed with truffle, camphor and sweet loamy soil and earthy nuances. The wine is full-bodied, gorgeously pure, rich and not showing any evidence of oak aging."